Germans like me who are used to the Autobahn probably have the hardest time on America’s interstates with its strict speed limits of anywhere between 60 mph to 85 mph. In fact, 85 mph is only allowed on a 41-mile segment somewhere in Texas. A few other parts of Texas as well as the whole state of Utah set the speed limit to 80 mph. With everybody usually being in a rush to get from A to B, traffic is slightly above the speed limit most of the time. And state troopers are out there to get the drivers who draw the most attention to them. Unfortunately, there is no set tolerance of how much you can go over the speed limit without getting pulled over. It’s at the discretion of the police officer and the discretion is wide spread after reading a little in a forum for police officers. Usually everybody who stands out by going faster than allowed has a very good chance of getting pulled over. Of course there are times when the speed limit is 65 and everybody is going 75 or 80 mph. Here, your chances to get a speeding ticket are very low, because why on earth would a cop pull just you over when everybody is speeding. That’s when the officers’ tolerance can be higher. I usually seek cover by driving in between cars – one behind and one in front of me – if I go faster than the law permits. Sometimes you’re just out of luck and you see the blue lights in your rear view mirror. Don’t panic and just slow down your car and stop at the next best opportunity. If you’re on the interstate, in a tunnel or on a bridge it’s okay to just slow down indicating the cop with your right turn signal that you are going to stop as soon as it’s safe for both of you. Try to pull over enough to give the cop some space to walk up to your window. Turn off your engine, roll down the driver’s window and leave both hands on the steering wheel so that the officer can see them. There have been way too many fatal incidents, where cops got shot during a routine control. The officer will ask you for your driver’s license and registration. It’s a good idea to tell the police officer what you are going to do, especially if you have to get to your glove box to pull out your documents. The glove box is a popular hiding place for guns, so don’t make the cop nervous by moving your hands too quickly. It’s for your own good. After the officer asked you a bunch of questions, that you try to answer politely, he or she will go back to their car to put your data into the system and potentially write you a speeding ticket. Sometimes you get away with a warning, so it’s really a good idea to stay polite while talking to the officer. Don’t leave until you have your license and registration documents back and the officer said that you’re free to go. Unless you’re really lucky and get away with a verbal warning, you are most likely to pay a hefty fine. The amount depends on how fast you were driving and a few other factors, e.g. speeding in a working zone will double your fine. Fines can easily be a couple of hundred dollars. Another punishment that kicks in after a speeding ticket is that your insurance rate will probably go up, although this is usually not the case after your very first ticket. If you’re a teen driver however or you were driving under the influence (DUI), prepare yourself to pay a higher insurance premium from now on. Insurances consider you a higher risk now and guess who’ll have to pay for that. Your driver’s license will be revoked for a certain time, if you have been driving under the influence (DUI). A DUI will also stay in your criminal record, which future employers usually look into during a pre-employment background check. After losing your license, you will have to go to driving school in order to get it back. Can I fight a Speeding Ticket? Yes, you can. You can try to reason with the police officer and even call him at work to further discuss. However, chances are very low the officer will change anything. 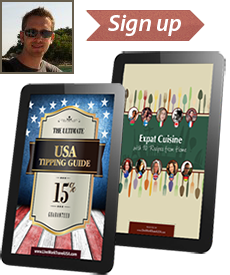 There are also lawyers who advertise that they can get rid of any speeding ticket for you and some people are taking advantage of this service. Especially when their insurance premium is about to rise due to a traffic violation. These lawyers usually build their case around a measuring error to fight the ticket. For more information about what to do after getting a ticket and how to beat it, check out SpeedingTicket.com. It’ll also give you more informaton about the individual state laws. How to avoid Speeding Tickets? Well, how about driving according to the speed limit? Okay, there’s also a little help from your friend – the radar detector. 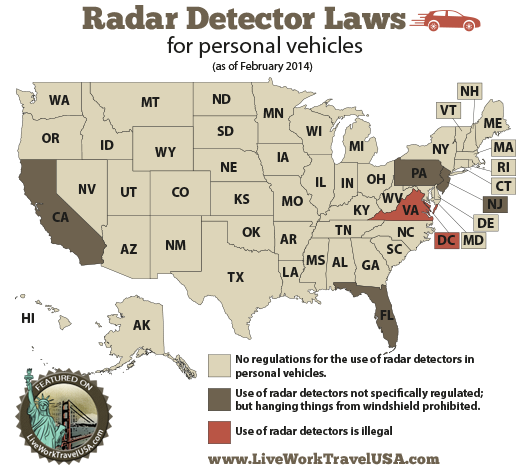 Radar detectors are legal for personal vehicles in all states but Virginia and Washington D.C. Commercial vehicles are not allowed to use any kind of radar detectors. States like CA, PA and NJ do not allow anything on the windshield that could interfere with your vision. That doesn’t mean radar detectors are illegal in these states. You just have to place them somewhere else. 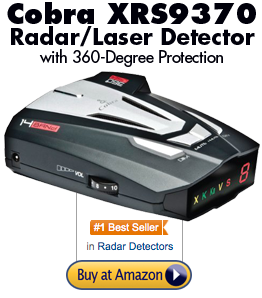 Personally I’ve been using a very cheap radar detector from Cobra for 70 bucks and it works like a charm. I’ll get an alert way before I even see a state trooper. Saved me quite a few times on my way to the beach when I was just too impatient to stick to the speed limit. Concerned about legality of radar detectors? Check out the map below to find out in which states you have nothing to worry about and where radar detectors are prohibited. Dan, what’s the difference between regular US Police (like for example, NYPD or LAPD) and State Troopers? Is State Trooper some kind of Autobahn Polizei, like in Germany? Is State Trooper a “state” police unit? Yes, state police aka state troopers is like the Autobahnpolizei in Germany. Their primary goal is to enforce traffic laws on interstates, but they can also be a part of state wide law enforcement and criminal investigations. Each state trooper is usually equipped with radar or a laser to track speed of traffic. 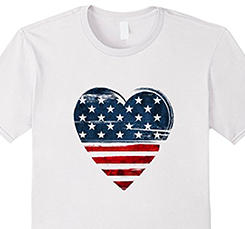 There have been way too many fatal incidents, where cops got shot during a routine control. The officer will ask you for your driver’s license and registration. It’s a good idea to tell the police officer what you are going to do, especially if you have to get to your glove box to pull out your documents. Should you ever get to Ohio, drive the speed limit. Don’t even try to to exceed the limit. Police in Ohio are notorious for giving Out-of-Staters tickets for going over the posted speed. Even if you are only going 1-2 miles over, they will nail you. It’s interesting to see all the Ohio cars following the speed limits, and all us Michiganders testing the waters by going over. Yup, we get tickets. I guess we are not as well behaved as they are. Lol! Thanks for the tip, Rebecca. I hope I’ll remember it next time I’m in Ohio. Ha Ha! Once when I was in Germany, we drove to France for the day. We parked in a lot that was filled with all French cars. When we came back, we were the only ones with a parking ticket!